Kids with speech disorders or delays often struggle to learn to read and write. For them, learning to read can be as confounding as reading a white paper on the performance of a Fusion-io ioDrive Duo 1.28TB card under a tpcc-mysql workload would be to us. (Unless, of course, you’re a computer genius.) Ideally, speech therapy focuses on the acquisition of all facets of language, from understanding the spoken word and reading fluently (receptive language skills) to articulating words clearly (expressive language skills). Phonics is one way to help a child accelerate the acquisition of reading and writing skills. The end goal of phonics is to facilitate fluent, automatic reading. On the surface, phonics seems pretty simple. It refers to the relationship between letters and sounds. 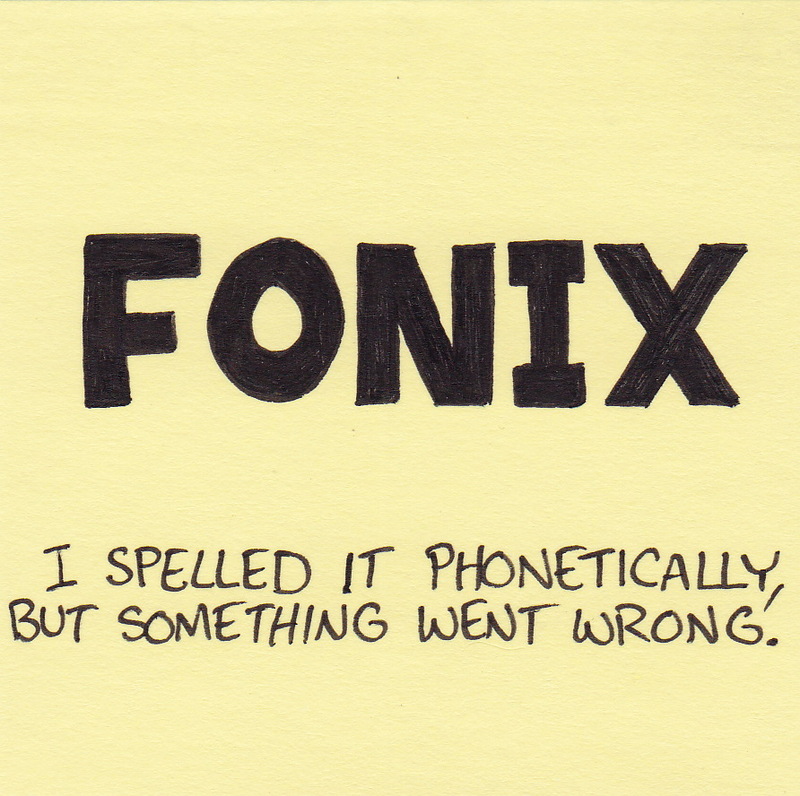 But consider that in the English language, many words are not phonetically spelled. For example, pretend that you have no idea of the meaning and pronunciation of the word, “school.” Try to sound it out. Your brain might want you to skip the “ch” entirely and pronounce it as “sool,” or perhaps as “shoe-el.” Phonics teaches phonemic awareness, or the ability to recognize the smallest blocks of sounds in words so that the child can put them together to learn the entire word. Phonemic awareness also includes recognizing words that rhyme. 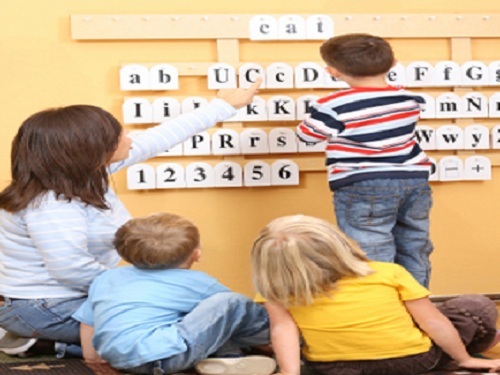 It also refers to the ability to manipulate phonemes so that different words are formed. Children tend to gradually acquire phonemic awareness through exposure to nursery rhymes and other books that use word play. If your child seems to understand the relationship between letters and sounds but has difficulty articulating those sounds, consider using Speech Buddies to promote articulation. Children typically learn phonics from kindergarten through second grade. Usually, kindergarten teachers emphasize the consonants, and first and second graders learn the rest of the sounds, parts of words, and letter combinations. Your child’s teacher will likely have him practice by reading short, simple books that emphasize the particular sounds and letter combinations that he is working on. Make an appointment with your child’s teacher to discuss the techniques that she is using to teach phonics. Phonics is best taught systematically, or with a progression of sounds and increasingly complex sound combinations. Ask the teacher to keep you updated on which sounds and sound combinations they are working on in class so that you can reinforce the lessons at home. Make a habit of reading with your child regularly. Your child’s teacher and his speech-language pathologist (SLP) can recommend books that emphasize the particular sounds that your little one is working on. You can also play word games together. Name two words that begin with a certain letter and ask your child to do the same. Then play a rhyming game. Challenge your child to think of words that rhyme with “butter” (or another word). As well, ask your child’s SLP about the specific techniques that she’s using to teach him sounds. Try to incorporate those techniques into your child’s day-to-day routine.